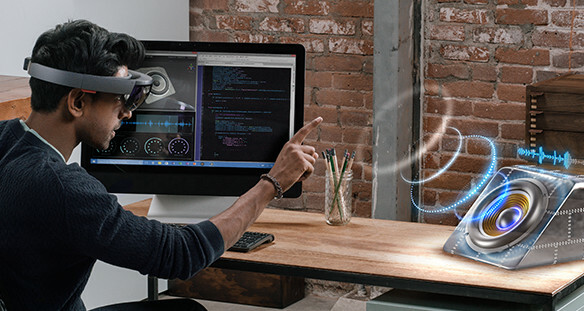 Mixed reality headsets such as the Microsoft HoloLens are becoming powerful platforms to develop computer vision applications. HoloLens Research Mode enables computer vision research on device by providing access to all raw image sensor streams -- including depth and IR. As Research Mode is now available since May 2018, we are starting to see several interesting demos and applications being developed for HoloLens. The goal of this workshop is to bring together students and researchers interested in computer vision for mixed reality applications. The workshop will provide a venue to share demos and applications, and learn from each other to build or port applications to mixed reality. We encourage submissions on the topics of (ego-centric) object recognition, hand and user tracking, activity recognition, SLAM, 3D reconstruction, scene understanding, sensor-based localization, navigation and more. Paper submissions should use the CVPR template and are limited to 4 pages plus references. In addition, we encourage the authors to submit a video showcasing their application. Note that submissions of previously published work are allowed (including work accepted to the main CVPR 2019 conference). A subset of papers will be selected for oral presentation at the workshop. However, we strongly encourage all the authors to present their work during the demo session. The best papers will be awarded with a special -- rigorously mixed-reality -- prize.